The fact about science, is that everyone who has made a serious contribution to it is aware, or very strongly suspects, that the world is not only queerer than anyone has imagined, but queerer than anyone can imagine. This is a most disturbing thought, and one flees from it by stating the exact opposite… J.B.S. Haldane in a letter to Robert Graves, cited by Clark. In my article What is history 1 I mentioned the early papers on the Origin of Life by JBS Haldane and Alexander Ivanovich Oparin. Subsequent research on the Net showed that these papers are not easily available and that perhaps people have forgotten how important they were to our understanding of life on Earth. 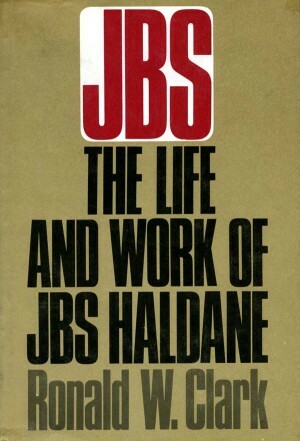 Also JBS Haldane is a larger than life English and subsequently Indian scientist who should not be forgotten. Hence I am republishing Haldane’s 8-page 1929 paper here, with some annotations in square brackets and italics to help the lay reader. The brilliance with which Haldane pulls together his theory from limited facts and turns it into an amusing raconteur’s chat is worth the effort of reading. I have also provided a link to Oparin’s much longer paper. The Creator, if He exists, has ‘an inordinate fondness for beetles’. I would lay down my life for two brothers or eight cousins. John Burdon Sanderson Haldane always known as J.B.S. (or Jack) was born in 1892. He was a classic upper class eccentric genius in the mould of Joseph Needham and perhaps Alan Turing. He was kindly beneath the irascibility and sometimes rudeness, and a generator of brilliant quotations (many misquoted). He was an officer in World War I in France and Mesopotamia (Iraq) and fortunately wasn’t killed. He became a communist from the 1930s to the 1950s, yet was involved in secret scientific work in WWII. He also wrote children’s stories. His main, but not only, scientific acclaim was with R.A. Fisher and Sewell Wright for developing the mathematical or what is called today the statistical basis for Darwinian evolution. Gregor Mendel’s genetic experiments with pea plants were rediscovered at the beginning of the twentieth century, but it was Fisher, Haldane and Wright who developed the mathematical and statistical basis for the theory known as neo-Darwinism and later the modern synthesis. Biology in the 1930s was the fundamental discipline for the development of the new field of statistics. When I undertook my postgraduate studies in the 1970s the knowledge of statistics amongst biologists was in general woeful, the reins had been transferred to the humanities: psychology and sociology. Biology is now in resurgence with the convergence of genetics, genome mapping, molecular biology, quantum physics and computing leading to amazing discoveries. Haldane emigrated to India in 1957 with his second wife to teach the Indians statistics in Calcutta and later ran a genetics laboratory in Orissa. He became an Indian citizen and converted to Hinduism. He died in Orissa in 1964. He was immensely popular in India and they claimed him as their own. In my article In Praise of Indian Mangoes I cited a story in My Friend Mr Leakey 1937 about eating mangoes in the bath, the lovely editors of Himal Southasian Magazine, added to Haldane ‘the British-born Indian biologist’, a nice touch I thought. The Biography of Haldane by Ronald W Clark 1968 is also well worth reading. 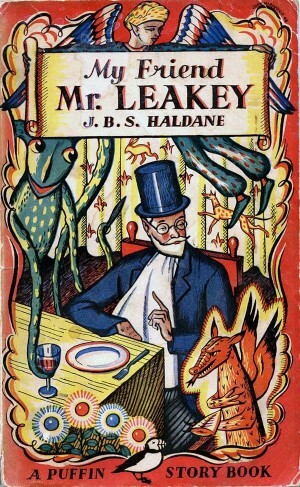 Don’t miss Haldane’s own brief biography of himself, intended for children, from the front pages of My Friend Mr Leakey, which is rather charming and follows his paper. UNTIL about 150 years ago it was generally believed that living beings were constantly arising out of dead matter. Maggots were supposed to be generated spontaneously in decaying meat. In 1668 [Francesco] Redi showed that this did not happen provided insects were carefully excluded. And in 1860 Pasteur extended the proof to the bacteria which he had shown were the cause of putrefaction. It seemed fairly clear that all the living beings known to us originate from other living beings. At the same time Darwin gave a new emotional interest to the problem. It had appeared unimportant that a few worms should originate from mud. But if man was descended from worms such spontaneous generation acquired a new significance. The origin of life on the earth would have been as casual an affair as the evolution of monkeys into man. Even if the latter stages of man’s history were due to natural causes, pride clung to a supernatural, or at least surprising, mode of origin for his ultimate ancestors. So it was with a sigh of relief that a good many men, whom Darwin’s arguments had convinced, accepted the conclusion of Pasteur that life can originate only from life. It was possible either to suppose that life had been supernaturally created on earth some millions of years ago, or that it had been brought to earth by a meteorite or by micro-organisms floating through interstellar space. But a large number, perhaps the majority, of biologists, believed, in spite of Pasteur, that at some time in the remote past life had originated on earth from dead matter as the result of natural processes. What Haldane is saying here is that when Pasteur showed that life did not originate spontaneously many of those who agreed with Charles Darwin’s book On the Origin of Species, 1859 supposedly heaved a sigh of relief because they could stomach being descended from apes, but not from ancestors generated spontaneously in mud (Haldane is being humorous here). However, he says the majority of biologists believe that life had evolved from inanimate matter in the remote past. The more ardent materialists tried to fill in the details of this process, but without complete success. Oddly enough, the few scientific men who professed idealism agreed with them. For if one can find evidences of mind (in religious terminology the finger of God) in the most ordinary events, even those which go on in the chemical laboratory, one can without much difficulty believe in the origin of life from such processes. Pasteur’s work therefore appealed most strongly to those who desired to stress the contrast between mind and matter. For a variety of obscure historical reasons, the Christian Churches have taken this latter point of view. But it should never be forgotten that the early Christians held many views which are now regarded as materialistic. They believed in the resurrection of the body, not the immortality of the soul. St Paul seems to have attributed consciousness and will to the body. He used a phrase translated in the revised version as ‘the mind of the flesh’, and credited the flesh with a capacity for hatred, wrath, and other mental functions. Many modern physiologists hold similar beliefs. But, perhaps unfortunately for Christianity, the Church was captured by a group of very inferior Greek philosophers in the third and fourth centuries AD. Since that date views as to the relation between mind and body which St Paul, at least, did not hold, have been regarded as part of Christianity, and have retarded the progress of science. Haldane is taking a very serious dig at the Church here but again humorously, however, his history and analysis of Church thinking are quite accurate. The mind/matter problem still rears its ugly head today in various forms. In my opinion it is the wrong question, very like the nature/nurture controversy, in most forms it is unanswerable and hence not productive. It is hard to believe that any lapse of time will dim the glory of Pasteur’s positive achievements. He published singularly few experimental results. It has even been suggested by a cynic that his entire work would not gain a doctorate of philosophy today! But every experiment was final. I have never heard of anyone who has repeated any experiment of Pasteur’s with a result different from that of the master. Yet his deductions from these experiments were sometimes too sweeping. It is perhaps not quite irrelevant that he worked in his latter years with half a brain. His right cerebral hemisphere had been extensively wrecked by the bursting of an artery when he was only forty-five years old; and the united brain-power of the microbiologists who succeeded him has barely compensated for that accident. Even during his lifetime some of the conclusions which he had drawn from his experimental work were disproved. He had said that alcoholic fermentation was impossible without life. [Eduard] Buchner [1860-1917] obtained it with a cell-free and dead extract of yeast. And since his death the gap between life and matter has been greatly narrowed. Haldane is also taking a dig at Pasteur here but somewhat kindly, by belittling the microbiologists who succeeded him. But he is also making an important point! When Darwin deduced the animal origin of man a search began for a ‘missing link’ between ourselves and the apes. When [Eugène] Dubois [1858-1940] found the bones of Pithecanthropus some comparative anatomists at once proclaimed that they were of animal origin, while others were equally convinced that they were parts of a human skeleton. It is now generally recognized that either party was right, according to the definition of humanity adopted. Pithecanthropus [erectus] was a creature which might legitimately be described either as a man or an ape, and its existence showed that the distinction between the two was not absolute. In scientific nomenclature, two words in Italics: the first capitalised and the second in lowercase, represent the Genus and the species, respectively. Eugène Dubois was a Dutch paleoanthropologist and geologist who led expeditions around the Solo River, in East Java, Indonesia in 1891 and 1892 and discovered Pithecanthropus popularly known as Java man, which he interpreted as the ‘missing link’ between ape and man. The fossil aroused much controversy (because it was so early). Even today, ‘Some recent authors have pointed out that there are more paleoanthropologists than there are fossils to work on, and that itself is a recipe for guesswork.’ (Peter Andrews and Christopher Stringer) This is not unsurprising as both hominid and ape fossils are rare. However, every time a new one is discovered a new theory is espoused. But we now know that this is impossible. Roughly speaking, from the point of view of size, the bacillus [bacterium] is the flea’s flea, the bacteriophage the bacillus’s flea; but the bacteriophage’s flea would be of the dimensions of an atom, and atoms do not behave like fleas. In other words, there are only about as many atoms in a cell as cells in a man. The link between living and dead matter is therefore somewhere between a cell and an atom. Although an amusing observation, this distinction of size is absolutely crucial to understanding microbiology, that is, the difference between cellular life and molecular non-life, with viruses in the middle. D’Herelle found that certain cultures of bacteria began to swell up and burst until all had disappeared. If such cultures were passed through a filter fine enough to keep out all bacteria, the filtrate could infect fresh bacteria, and so on indefinitely. Though the infective agents cannot be seen with a microscope, they can be counted as follows. If an active filtrate containing bacteriophage be poured over a colony of bacteria on a jelly, the bacteria will all, or almost all, disappear. If it be diluted many thousand times, a few islands of living bacteria survive for some time. If it be diluted about ten million times, the bacteria are destroyed round only a few isolated spots, each representing a single particle of bacteriophage. Since the bacteriophage multiplies, d’Herelle believes it to be a living organism. [Jules] Bordet [1870-1961] and others have taken an opposite view. It will. survive heating and other insults which kill the large majority of organisms, and will multiply only in presence of living bacteria, though it can break up dead ones. Except perhaps in presence of bacteria, it does not use oxygen or display any other signs of life. Bordet and his school therefore regard it as a ferment which breaks up bacteria as our own digestive ferments break up our food, at the same time inducing the disintegrating bacteria to produce more of the same ferment. This is not as fantastic as it sounds, for most cells while dying liberate or activate ferments which digest themselves. But these ferments are certainly feeble when compared with the bacteriophage. Clearly we are in doubt as to the proper criterion of life. D’Herelle says that the bacteriophage is alive, because, like the flea or the tiger, it can multiply indefinitely at the cost of living beings. His opponents say that it can multiply only as long as its food is alive, whereas the tiger certainly, and the flea probably, can live on dead products of life. They suggest that the bacteriophage is like a book or a work of art, which is constantly being copied by living beings, and is therefore only metaphorically alive, its real life being in its copiers. The American geneticist [Herman] Muller [1890-1967] has, however, suggested an intermediate view. He compares the bacteriophage to a gene — that is to say, one of the units concerned in heredity. A fully coloured and a spotted dog differ because the latter has in each of its cells one or two of a certain gene, which we know is too small for the microscopist to see. Before a cell of a dog divides this gene divides also, so that each of the daughter-cells has one, two, or none according with the number in the parent cell. The ordinary spotted dog is healthy, but a gene common among German dogs causes a roan colour when one is present, while two make the dog nearly white, wall-eyed, and generally deaf, blind, or both. Most of such dogs die young, and the analogy to the bacteriophage is fairly close. The main difference between such a lethal gene, of which many are known, and the bacteriophage, is that the one is only known inside the cell, the other outside. In the present state of our ignorance we may regard the gene either as a tiny organism which can divide in the environment provided by the rest of the cell; or as a bit of machinery which the ‘living’ cell copies at each division. The truth is probably somewhere in between these two hypotheses. Muller also found that x-rays caused mutations. This work on bacteriophages and the discovery of viruses was unresolved. They did not have electron microscopes and consequently had to infer the existence of viruses. Whether viruses are alive is still a grey area today; although the answer is probably, no. The link between chromosomes and genes was known at this time but, what exactly a gene was physically was unknown. The discovery of the structure of DNA as a double helix by Watson & Crick in 1953 and the consequent mechanism of genes as base-pair sequences between the double helix backbone was some way off. Unless a living creature is a piece of dead matter plus a soul (a view which finds little support in modern biology) something of the following kind must be true. A simple organism must consist of parts A, B, C, D, and so on, each of which can multiply only in presence of all, or almost all, of the others. Among these parts are genes, and the bacteriophage is such a part which has got loose. This hypothesis becomes more plausible if we believe in the work of [Paul] Hauduroy [1897-1967], who finds that the ultramicroscopic particles into which the bacteria have been broken up, and which pass through filters that can stop the bacteria, occasionally grow up again into bacteria after a lapse of several months. He brings evidence to show that such fragments of bacteria may cause disease, and d’Herelle and Peyre [a colleague] claim to have found the ultra-microscopic form of a common staphylococcus, along with bacteriophage, in cancers, and suspect that this combination may be the cause of that disease. On this view the bacteriophage is a cog, as it were, in the wheel of a life cycle of many bacteria. The same bacteriophage can act on different species, and is thus, so to say, a spare part which can be fitted into a number of different machines, just as a human diabetic can remain in health when provided with insulin manufactured by a pig. A great many kinds of molecule have been got from cells, and many of them are very efficient when removed from it. One can separate from yeast one of the many tools which it uses in alcoholic fermentation, an enzyme called invertase, and this will break up six times its weight of cane-sugar per second for an indefinite time without wearing out. As it does not form alcohol from the sugar, but only a sticky mixture of other sugars, its use is permitted in the United States in the manufacture of confectionery and cake-icing. But such fragments do not reproduce themselves; though they take part in the assimilation of food by the living cell. No one supposes that they are alive. The bacteriophage is a step beyond the enzyme on the road to life, but it is perhaps an exaggeration to call it fully alive. At about the same stage on the road are the viruses which cause such diseases as smallpox, herpes, and hydrophobia. They can multiply only in living tissue, and pass through filters which stop bacteria. With these facts in mind we may, I think, legitimately speculate on the origin of life on this planet. Within a few thousand years from its origin it probably cooled down so far as to develop a fairly permanent solid crust. For a long time, however, this crust must have been above the boiling-point of water, which condensed only gradually. The primitive atmosphere probably contained little or no oxygen, for our present supply of that gas is only about enough to burn all the coal and other organic remains found below and on the earth’s surface. On the other hand, almost all the carbon of these organic substances, and much of the carbon now combined in chalk, limestone, and dolomite, were in the atmosphere as carbon dioxide. Probably a good deal of the nitrogen now in the air was combined with metals as nitride in the earth’s crust, so that ammonia was constantly being formed by the action of water. The sun was perhaps slightly brighter than it is now, and as there was no oxygen in the atmosphere the chemically active ultraviolet rays from the sun were not, as they now are, mainly stopped by ozone (a modified form of oxygen) in the upper atmosphere, and by oxygen itself lower down. They penetrated to the surface of the land and sea, or at least to the clouds. Now, when ultraviolet light acts on a mixture of water, carbon dioxide, and ammonia, a vast variety of organic substances are made, including sugars and apparently some of the materials from which proteins are built up. This fact has been demonstrated in the laboratory by Baly of Liverpool and his colleagues. In this present world such substances, if left about, decay-that is to say, they are destroyed by micro-organisms. But before the origin of life they must have accumulated till the primitive oceans reached the consistency of hot dilute soup. Today an organism must trust to luck, skill, or strength to obtain its food. The first precursors of life found food available in considerable quantities, and had no competitors in the struggle for existence. As the primitive atmosphere contained little or no oxygen, they must have obtained the energy which they needed for growth by some other process than oxidation–in fact, by fermentation. For, as Pasteur put it, fermentation is life without oxygen. If this was so, we should expect that high organisms like ourselves would start life as anaerobic beings, just as we start as single cells. This is the case. Embryo chicks for the first two or three days after fertilization use very little oxygen, but obtain the energy which they need for growth by fermenting sugar into lactic acid, like the bacterium which turns milk sour. So do various embryo mammals, and in all probability you and I lived mainly by fermentation during the first week of our pre-natal life. The cancer cell behaves in the same way. [Otto] Warburg [1883-1970] has shown that with its embryonic habit of unrestricted growth there goes an embryonic habit of fermentation. The first living or half-living things were probably large molecules synthesized under the influence of the sun’s radiation, and only capable of reproduction in the particularly favourable medium in which they originated. Each presumably required a variety of highly specialized molecules before it could reproduce itself, and it depended on chance for a supply of them. This is the case today with most viruses, including the bacteriophage, which can grow only in presence of the complicated assortment of molecules found in a living cell. The growth and reproduction of large molecules are not, it may be remarked, quite hypothetical processes. They occur, it would seem, in certain polymerizations which are familiar to organic chemists. In my opinion the genes in the nuclei of cells still double themselves in this way. The most familiar analogy to the process is crystallization. A crystal grows if placed in a supersaturated solution, but the precise arrangement of the molecules out of several possible arrangements depends on the arrangement found in the original crystal with which the solution is ‘seeded’. The metaphor of seeding, used by chemists, points to an analogy with reproduction. Edward Baly formed sugars as described. Haldane of course did not have access to the famous Miller experiment of 1952. The Warberg effect is described below. The unicellular organisms, including bacteria, which were the simplest living things known a generation ago, are far more complicated. They are organisms — that is to say, systems whose parts co-operate. Each part is specialized to a particular chemical function, and prepares chemical molecules suitable for the growth of the other parts. In consequence, the cell as a whole can usually subsist on a few types of molecule, which are transformed within it into the more complex substances needed for the growth of the parts. The cell consists of numerous half-living chemical molecules suspended in water and enclosed in an oily film. When the whole sea was a vast chemical laboratory the conditions for the formation of such films must have been relatively favourable; but for all that life may have remained in the virus stage for many millions of years before a suitable assemblage of elementary units was brought together in the first cell. There must have been many failures, but the first successful cell had plenty of food, and an immense advantage over its competitors. This is the nub of Alexander I Oparin’s coacervate drop theory, how concentrated droplets of organic molecules containing self-replicating molecules in water formed into coacervate drops surrounded by an oily lipid film, the precursor of the cell membrane. Of course, Haldane was unaware of Oparin’s work. It is probable that all organisms now alive are descended from one ancestor, for the following reason. Most of our structural molecules are asymmetrical, as shown by the fact that they rotate the plane of polarized light, and often form asymmetrical crystals. But of the two possible types of any such molecule, related to one another like a right and left boot, only one is found throughout living nature. The apparent exceptions to this rule are all small molecules which are not used in the building of the large structures which display the phenomena of life. There is nothing, so far as we can see, in the nature of things to prevent the existence of looking-glass organisms built from molecules which are, so to say, the mirror images of those in our own bodies. Many of the requisite molecules have already been made in the laboratory. If life had originated independently on several occasions, such organisms would probably exist. As they do not, this event probably occurred only once, or, more probably, the descendants of the first living organism rapidly evolved far enough to overwhelm any later competitors when these arrived on the scene. This is an amazing conclusion for the time. Here the ancient sons of Earth, the Titan’s brood, hurled down by the thunderbolt, writhe in the abyss. Virgil, Aeneid 6. We forget that in Oxford and Cambridge (and consequently also at school) they actually studied the classics. My PhD supervisor S.A. Barnett 1915-2003 studied under the same system. He was considered rude when he was really only expressing a dry sense of humour and could as easily write quotations in ancient Greek as in Latin. A bygone era. This is also an amazing conclusion predicting Oparin’s anaerobic heterotropes (non-oxygen using single-celled animals) as the first organisms, then photosynthesising plants (the cyanobacteria) which produced the oxygen atmosphere and were the ancestors of aerobic bacteria. The above conclusions are speculative. They will remain so until living creatures have been synthesized in the biochemical laboratory. We are a long way from that goal. It was only this year· that Pictet for the first time made cane-sugar artificially. It is doubtful whether any enzyme has been obtained quite pure. Nevertheless I hope to live to see one made artificially. I do not think I shall behold the synthesis of anything so nearly alive as a bacteriophage or a virus, and I do not suppose that a self-contained organism will be made for centuries. Until that is done the origin of life will remain a subject for speculation. But such speculation is not idle, because it is susceptible of experimental proof or disproof. Some people will consider it a sufficient refutation of the above theories to say that they are materialistic, and that materialism can be refuted on philosophical grounds. They are no doubt compatible with materialism, but also with other philosophical tenets. The facts are, after all, fairly plain. Just as we know of sight only in connection with a particular kind of material system called the eye, so we know only of life in connection with certain arrangements of matter, of which the biochemist can give a good, but far from complete, account. The question at issue is: ‘How did the first such system on this planet originate?’ This is a historical problem to which I have given a very tentative answer on the not unreasonable hypothesis that a thousand million years ago matter obeyed the same laws that it does today. This answer is compatible, for example, with the view that pre-existent mind or spirit can associate itself with certain kinds of matter. If so, we are left with the mystery as to why mind has so marked a preference for a particular type of colloidal organic substances. Personally I regard all attempts to describe the relation of mind to matter as rather clumsy metaphors. The biochemist knows no more, and no less, about this question than anyone else. His ignorance disqualifies him no more than the historian or the geologist from attempting to solve a historical problem. from The Rationalist Annual, 1929. I think that it is important to publicise Haldane’s fine paper. 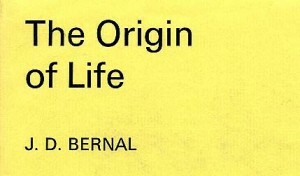 Oparin’s is much too long to post (I’ve provided a pdf download), but J D Bernal also provides a copy in Appendix I along with Haldane’s paper and a short commentary on both. I’ve enjoyed learning about the scientists Haldane mentioned, many of whom I wasn’t aware of: Herman Joseph Muller, for example (see below). The JBS Haldane/Alexander I Oparin connection here is the reverse of that between Darwin and Alfred Russell Wallace. In this case, the man who did the least work is the far better known. The banner for Breadtagsagas is: Tales of travel, food, books, art, science…. At last a science post to justify the banner title; and if you’ve read this far you are probably interested in delving into science occasionally. What is history 1 did contain some science, but that is not enough. Professor Haldane has been used for experiments since he was about three years old, when his father started taking blood out of him. Some of the things that have happened to him are nearly as queer as the things that happen in this book. For example, during the war he was working on how to get out of sunken submarines, and some of the work was done in air that had been squeezed up so tight that he could not even move his hand through it very easily. He thinks a lot of the magicians in old days were only doing, or trying to do, what scientists and engineers do now, and that science can be more exciting than magic ever was. He is 55 years old and a communist. Besides experiments to find out how he works, his scientific work has mainly been about heredity. He hasn’t felt like writing stories for children since about 1933, when Hitler got power in Germany, and the world became a nastier place. But he hopes the world will get nicer again now that we have won the war; and then perhaps he will feel like writing more stories. The nearest things to a dragon that he has in his house are two she-newts called Flosshilde and Berenice. His cat is white and deaf, but she can turn somersaults. He is bald weighs 15 stone and is fond of swimming. I read Oparin’s books in translation when I was fourteen. I was gobsmacked. I didn’t know Haldane’s work at that time. Although I’d already read My Friend Mr Leakey. J.B.S. Haldane My Friend Mr Leakey, 1937. Bacteriophage: a virus that infects or parasitises bacteria, replicates within the cell, and kills the bacterium as a mechanism of release. The Scientific American 2004. The answer is probably no but it remains a difficult question to answer. 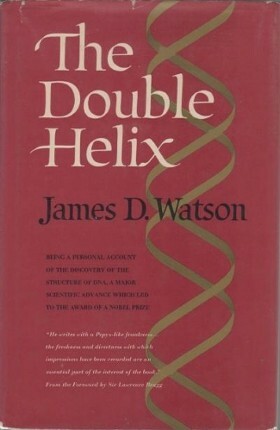 James D. Watson The Double Helix 1968. Paul Haduroy 1897-1967 wrote a book called Le bactériophage de d’Hérelle in 1925. Herman Joseph Muller the American geneticist, for example, was born in New York City in 1890 (of a Jewish mother) attended a Unitarian Church, but declared himself atheist in high school. He moved to Berlin in 1932 as a limited sabbatical but it turned into an eight-year five-country journey. Miller was opposed to National Socialism, but was being investigated by the FBI because of his involvement in the distribution of an illegal leftist student newspaper in the USA. He moved to the USSR in 1933 to continue his research, but by 1936 Stalin and the rise of Lysenkoism (an abandonment of genetics for a Lamarck-like evolution theory) made the USSR impossible to work in. After a brief stay in Madrid and Paris, he moved to Edinburgh in September 1937. In 1938 with war on the horizon he began looking for work back in the USA. He married a German refugee in Edinburgh (his second wife). He returned to the USA in 1940 and took on an untenured position. Things improved. He was awarded the Nobel Prize in Physiology or Medicine in 1946 for his discovery that mutations can be induced by X-rays. He also became involved in the anti-nuclear movement. Given the time, his journey around the beginnings of the Second World War, and with the ostracism of leftists in the postwar USA, others got trapped by circumstance, Muller seemingly led a lucky life. I ended my PhD Thesis (Winter Adaptation and the Bus Rat) with Haldane’s quote about science at the beginning of this article. For a generalist thesis it was a remarkably stupid thing to do, or I think so today. Fortunately, I thanked P.A.P. Moran the head of the Department of Statistics at The research School of Social Sciences at ANU for his help, which terrified my examiners enough not to query the statistical analysis. I also regret not following S.A. Barnett’s advice and including standard error bars on my graphs. I resisted because the transformations I used made the standard errors look really good — and I thought this unfair. Really stupid! The thesis was also rather verbose. It helped to get me my degree, but I wish I’d known how to summarise. JBS Haldane’s pivotal paper above is amazingly concise considering that he took time out to have a bit of fun. However, Haldane was a genius, which I certainly am not. Not sure which of the many final comments (they do seem endless) that you are referring to, but happy to take credit for anything!